There’s high demand for a skill set like Ken’s. When he isn’t writing new contemporary Catholic music, he’s recording podcasts, writing books on the history of liturgical music, leading worship at his parish and traveling the country giving workshops. Ken offers workshops that support the liturgical formation of musicians, choirs, cantors, readers and other ministers, as well as catechists, youth ministers and youth groups. His “Folk Mass Nights” have become popular events where Boomer Catholics and their families sing through the liturgical music of the 1960s while Ken tells stories of those times. An undiscovered gem! Set in the days between Ascension and Pentecost, We Are a Light is a compelling personal account of Simon Peter's relationship with Jesus as told to the new apostle Matthias. Designed as a full-length, contemporary musical for performance in youth ministry settings, it also contains many scene excerpts and anthems suitable for individual presentation within a church service. The story moves geographically and chronologically, using frequent flashbacks. However, the unearthly choral invocation "Come, O Holy Spirit" precedes each narrative segment and provides a strong sense of continuity throughout the musical. A wide array of instruments, including electric guitar and xylophone, supports musical styles ranging from jazz and soft rock to Broadway-style musical showstoppers. The story continues! A history of liturgical music after the Second Vatican Council. Keep the Fire Burning is the forgotten and untold story of the Folk Mass. The influence of this movement is still felt today in the Catholic liturgical industry and in contemporary Christian music. This fascinating book examines the place of the Folk Mass in Church history. Was it a well-intentioned but failed attempt at updating worship? Or was it a genuine movement of the people? 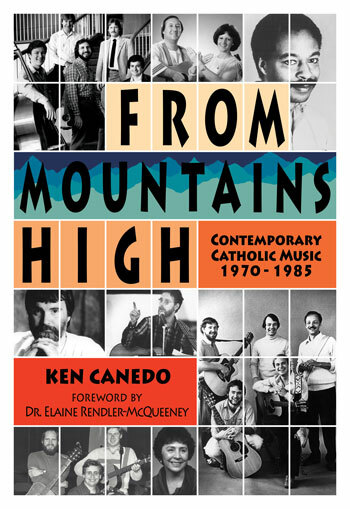 This highly readable book is filled with stories and reflections by such Folk Mass composers as Ray Repp ("Allelu"), Jack Miffleton ("Alle, Alle"), Sister Miriam Therese Winter ("Joy Is Like the Rain"), Carey Landry ("The Spirit Is a-Movin'"), Sebastian Temple ("Prayer of St. Francis") and many others. Keep the Fire Burning is both a detailed overview of the influences that led to the Folk Mass and a fond remembrance of a colorful era in the Catholic Church. A wonderful read, this book should be part of any Catholic library. The story continues! Check out the sequel, From Mountains High! 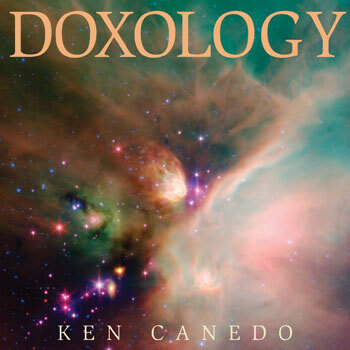 This 12-song CD by Ken Canedo features diverse music designed for liturgies throughout Easter and Ordinary Time. 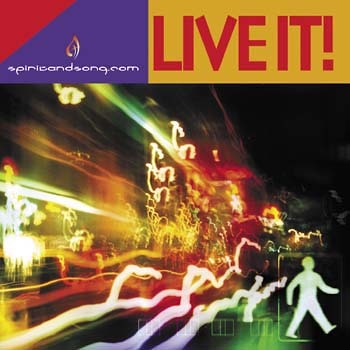 A mix of fun and funky, smooth and slow, this eight-song CD offers music for liturgy that spans the gamut from gentle guitar-based ballad and choral praise anthem to hard-rocking indie pop. 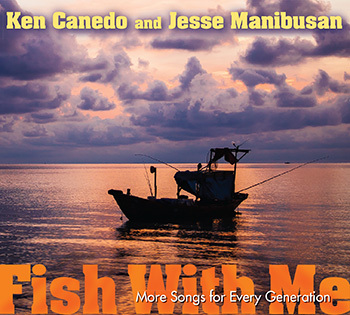 This 13-song CD by Ken Canedo and Jesse Manibusan features music addressing social justice, conversion and other themes such as relationships with God, parents, friends and the world around us. This popular contemporary Mass setting grew beyond its original material to include several Mass parts arranged for SATB choir with descant. The expanded Mass setting is available in the Mass of Glory collection. Additions to the Mass include: the sprinkling rite, Kyrie, Gloria, Lenten Gospel Acclamation, an additional setting of the prayer of the faithful, memorial acclamations B and D and the Lord's Prayer. 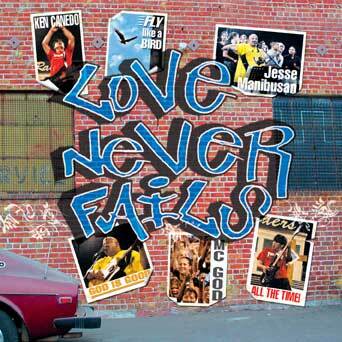 This songbook features guitar, keyboard and vocal parts for each song of the album Love Never Fails by Ken Canedo and Jesse Manibusan. 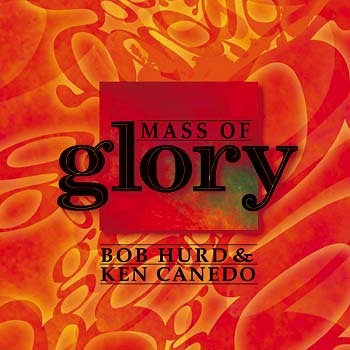 This is the guitar/melody accompaniment book for Mass of Glory, a revised Mass setting by Ken Canedo and Bob Hurd. This keyboard/guitar songbook provides accompaniment parts, voicing (unison, two- and three-part), composer notes and suggested use for each of the eight songs on the Fish With Me album. This is the keyboard/melody accompaniment book for Mass of Glory, a revised Mass setting by Ken Canedo and Bob Hurd. A mix of fun and funky, smooth and slow, this eight-song MP3 album offers music for liturgy that spans the gamut from gentle guitar-based ballad and choral praise anthem to hard-rocking indie pop. 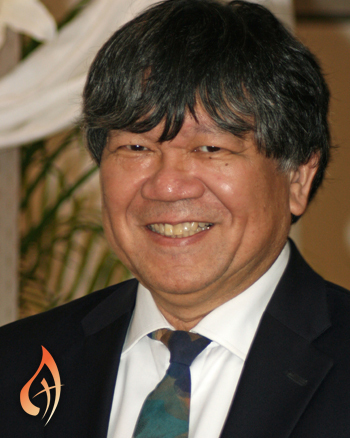 Ken Canedo is an eminently qualified liturgical composer, author-historian and workshop presenter. He started early, singing chant in the children’s choir at his Los Angeles parish when the Mass was still in Latin. He played guitar with his high school Folk Mass group in the late 1960s and piano on Bob Hurd’s 1973 debut album, O Let Him In. He has a master of divinity from St. John’s Seminary in Camarillo, California. Ken’s first solo album, Take Some Time, was released in 1978. He has since released seven albums, including his latest, Fish With Me, a collaboration with Jesse Manibusan. His songs “Fly Like a Bird” and “Holy Spirit,” his many titles in the Spirit & Song hymnal, as well as his Mass of Glory, which he co-wrote with Bob Hurd, are popular with worshippers around the world. Ken has also collaborated with Jesse Manibusan on Love Never Fails. He is the author of Keep the Fire Burning: The Folk Mass Revolution, a history of contemporary Catholic music in the 1960s and the sequel, From Mountains High, which covers the 1970s and early 1980s. Currently Ken is a music development specialist for OCP. 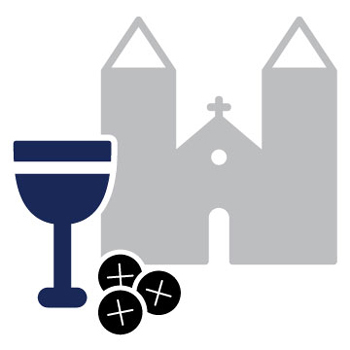 He is the voice of the popular Liturgy Podcast, a weekly planning resource on ocp.org. He is also a pastoral musician at Holy Trinity Catholic Church in Beaverton, Oregon.